BEIRUT -- Saudi Arabia announced on Friday it is halting deals worth $4 billion aimed at equipping and supporting Lebanese security forces in retaliation for the tiny country's siding with Iran amid the Sunni kingdom's spat with the Shiite power. The surprise announcement, carried by the state-run Saudi Press Agency, comes as deeply divided Lebanon struggles to handle the fallout from neighboring Syria's raging civil war. The Lebanese government declined to immediately comment on the Saudi decision. Flash Points: How will the U.S. respond to rising Sunni-Shiite tensions in the Middle East? One deal involves a four-year, $3 billion Saudi pledge to buy French arms for the Lebanese military, which already has seen the Mediterranean country receive modern anti-tank guided Milan missiles last year. The other involves a $1 billion support deal for the Lebanese police. The decision came after Lebanese Foreign Minister Gibran Bassil declined to support Saudi resolutions against Iran during two meetings of Arab and Muslim foreign ministers. 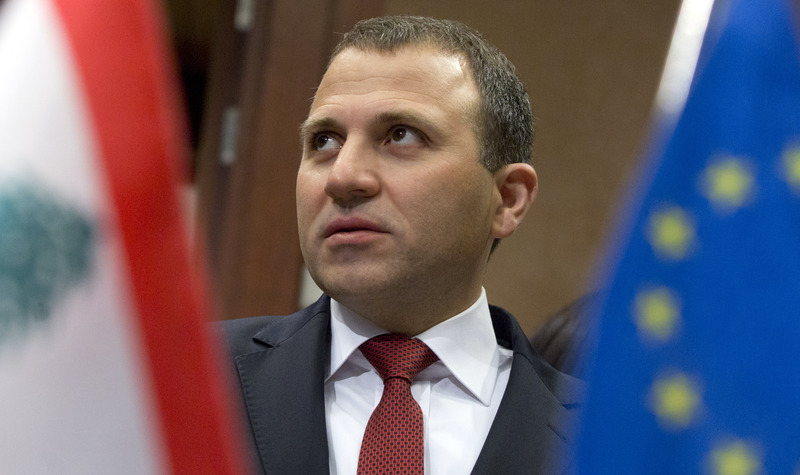 Bassil is the president of the right-wing Christian Free Patriotic Movement, which is one of the strongest allies of the Iran-backed militant Hezbollah group in Lebanon. Saudi Arabia long has been suspicious of Iran, which also supports Syria's embattled President Bashar Assad. Relations took a turn for the worse at the start of the year, when Saudi Arabia executed a prominent Shiite cleric and protesters stormed Saudi diplomatic posts in Iran. That prompted Riyadh to cut diplomatic relations with Tehran. What's behind the Saudi-Iran rift? The Saudi news agency statement said the kingdom halted the deals because of Lebanon's "non-condemnation of the blatant attacks against the Saudi Embassy in Tehran and its Consulate-General in Mashhad, which are contrary to international law and diplomatic norms." "Saudi Arabia considers these positions as regrettable and unjustified," the report said. The Lebanese decision is "inconsistent with the fraternal relations between the two countries and they are not taking into account their interests." The Saudi decision likely will be a painful one for the Lebanese army. The army is generally seen as a unifying force in Lebanon and draws its ranks from all of the country's sects. However, it's widely viewed as being much weaker than Hezbollah. Historically, the Lebanese army has been equipped by the United States and France. The Saudi pledge by the late King Abdullah, announced in December 2013, was described at the time as the largest-ever single grant to the Lebanese armed forces. Also at play since that time is the dramatic drop in world crude oil prices. Once over $100 a barrel, crude now sells at around $30, putting tremendous strain on Saudi Arabia, which has been burning through billions of its reserves. This week, ratings agency Standard & Poor's downgraded the kingdom's credit rating due to low oil prices.